It would be difficult to find a rock & roll star - and that was what he was for two years in the mid-'60s - less likely than Gary Lewis, or a less probable chart-topping act than Gary Lewis & the Playboys. Lewis himself was possessed of a limited singing range and didn't have what could be considered good looks, yet with a lot of help he managed to make some exceptionally good (and good-selling) records out of Los Angeles, in the midst of the British Invasion, and teenagers loved him. Gary Lewis is the eldest child of the late comedian Jerry Lewis and his first wife, singer Patti Palmer. The legendary comic passed away on August 20, 2017 of heart failure at the age of 91. 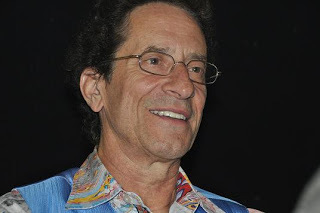 His son Gary, a musician, led the popular 1960s band, Gary Lewis & the Playboys. 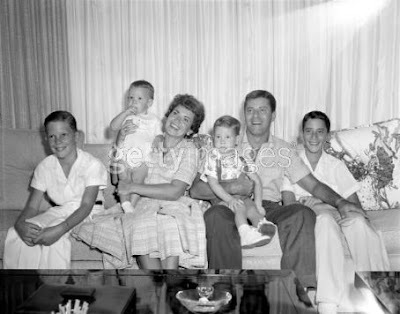 Gary Harold Lee Levitch (Jerry Lewis' real last name was Levitch) was born on July 31, 1946 in Los Angeles, California. At the time, his mother, Patti, sang with the Ted Fio Rito Orchestra. She and Jerry Lewis married in 1945, formally separated in 1980 and divorced in 1983. They had six sons: Gary, Ronald Steven "Ronnie" Lewis, Anthony Joseph Lewis, Christopher Joseph Lewis, Scott Anthony Lewis and Joseph Lewis. Joseph, their youngest son, died of a drug overdose in 2009 at the age of 45. In 1960, Gary was gifted with a set of drums for his 14th birthday. Four years later, he formed a band named Gary and the Playboys with four friends: David Costell, David Walker and Al Ramsey on guitar and John West on keyboard. At first, Gary was the drummer and guitarist Dave Walker was the lead singer. When two of the band members turned up late for rehearsal one day, Gary jokingly labelled them "Playboys." That was the origin of the group's name. 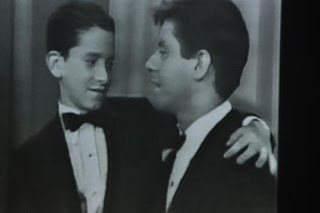 In 1964, Gary's band performed at Disneyland without disclosing that Gary was the son of Jerry Lewis. Record producer Snuff Garrett, although a neighbour of the Lewis family, was not aware of this until he was tipped off by a mutual friend, conductor Lou Brown. After listening to the band, Garrett believed that using Gary's famous last name, might sell records. He persuaded them to change their name to Gary Lewis & the Playboys and brought them into a recording studio. He also employed top musicians, such as Leon Russell, to play on Lewis’ records. 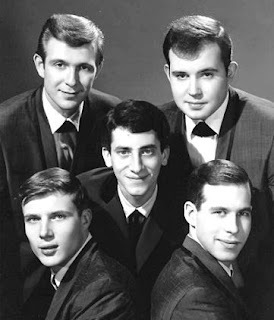 Gary Lewis & the Playboys had a total of eight gold singles and four gold albums. At the peak of their popularity, they appeared on The Ed Sullivan Show, American Bandstand, Shindig!, The Mike Douglas Show and The Tonight Show . . . Starring Johnny Carson. At the time of British Invasion, however, they failed to make an impact in Britain. By the end of 1965, only Gary Lewis and John West remained from the original band members. Later band members included Tommy Tripplehorn (father of actress Jeanne Tripplehorn,, Carl Radle, who died 1980), Jimmy Karstein, Randy Ruff, Pete Vrains, Bob Simpson, Adolph Zeugner, Les John, Wayne Bruno, and Dave Gonzalez. Gary Lewis took a break from his career when he was drafted into the U.S. Army in 1967. He served during the time of the Vietnam War and was posted overseas with the Eighth Army in Seoul, South Korea. 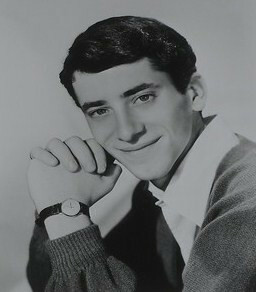 When he returned to civilian life in 1968, he resumed recording and reached the top 40 for the last time with a top 20 remake Bryan Hyland's Sealed With A Kiss. The group, however was unable to recover its earlier momentum and Gary soon discovered that music tastes had changed during his short stint overseas. In a July 27, 1992 "Where are they Now?" interview with People magazine, Gary described his unhappy situation: “When I realized there was no market for [my music], I started hitting the bottle hard." (He entered a rehab program around 1987). In that 1992 interview with People, Gary admitted that he hadn't spoken to his dad "since Father's Day." "It’s been on and off all the time," he said, "Just one of those things. I know how he is. I try to give him a break." In the late 1960s, according to Villages-News, Gary Lewis had a "falling out" with his father. They apparently reconciled and Gary continued to appear with his father and perform at the Jerry Lewis Muscular Dystrophy Association Labor Day Telethon. Gary, however, later became involved in a situation that jeopardized his relationship with his famous father. In 2009, the pop singer was back in the headlines after agreeing to submit to a DNA test on behalf of a woman who believed she was the biological daughter of Jerry Lewis (The results indicated an 88.7 percent probability that the woman, Suzan Minoret, who goes by Suzan Lewis, is related to Gary Lewis). In March of 2009, Gary told the Las Vegas Review-Journal that he was willing to take the DNA test "because nobody else was stepping forward." He said. "I knew how bad I would want to know if I didn’t know who my father was. I’d want someone to help me. 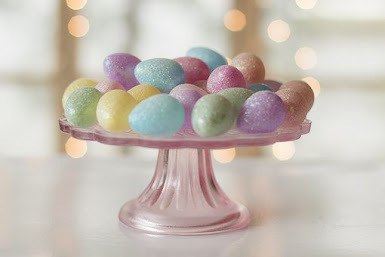 My dad may think of it as a betrayal, but I didn’t mean to stir anything up." In the Review Journal interview, Gary commented on his father's past infidelities. "My mother used to say, ‘I know your dad is with other women’ and she would say ‘The bigger the diamond the worst thing he did.’ "Dad told me himself he was a tremendous womanizer when he was on the road with Dean Martin." Jerry Lewis' legally separated from wife Patti in 1980 after 35 years of marriage and the breakup was quite bitter. In 1983, Lewis married his second wife, SanDee Pitnick, a former flight attendant. The couple adopted a daughter named Danielle Sara Lewis in 1992. Danielle is now 25 years old. After the decline of his music career, Gary experienced financial difficulties. In order to make ends meet, he opened a music store in Los Angeles, gave guitar and drum lessons and made several unsuccessful comeback tries. He continued touring with the band, eventually marketing himself as a nostalgia act. Gary Lewis & the Playboys folded in 1970, but a version of the group later resumed touring, particularly at veteran's benefits. Gary Lewis, now 71 years old, is currently in the news because he and his brothers have been explicitly left out of his father's will. Jerry Lewis "intentionally excluded" all his sons and their descendants from inheriting anything from his estate, according to documents recently obtained by the Blast and People. The will was executed in 2012, after son Joseph's death, and it acknowledges that Joseph is deceased. The sole beneficiaries of the comedian's estate are his second wife SanDee and daughter Danielle. 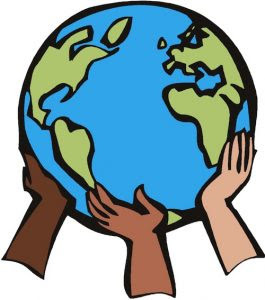 In a September 22, 2017 article in the Los Angeles Times, Nadine Saad,writes: "Lewis is said to have cut ties with his other children after adopting Danielle as newborn." * Gary Lewis has been married three times. His first wife was Sara Jane "Jinky" Suzara, whom he met during a 1967 tour in the Philippines with his band. They wed nine months later, on March 11, 1967. According to a July 26, 2014 article in Rebeat magazine by Allison Johnelle Boron, Gary adopted a son named John and also had a daughter, Sara, with Sarah Jane. Their marriage lasted until 1970. Gary's second wife was Patty Barrett, with whom he moved to the Cleveland area in 1980. The two lived in Lakewood, Ohio and then Aurora, Ohio. Gary has been married to his third wife, Donna Grow, sine 2003 and they live near Rochester, New York. * At a 2016 concert at the Savannah Center in The Villages, Florida, Gary's show started with a film clip, showing him as a child, singing a duet with Jerry Lewis. “I adore him because he’s my first born,” the elder Lewis declared.